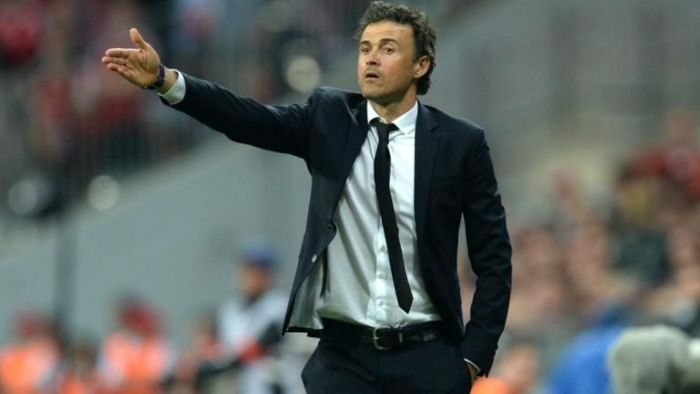 Chelsea and Paris Saint-Germain are in the hunt for former Barcelona manager, Luis Enrique, according to Spanish football expert, Guillem Balague. The Blues want Enrique to replace Antonio Conte at Stamford Bridge, while PSG are not entirely convinced by Unai Emery, despite a decent campaign. Balague claims Enrique will have choices tomake in the summer. “The former Barcelona manager has been approached by intermediates who say they are calling on behalf of both Chelsea and PSG. It will be an interesting dilemma for him, because he of course will want to go to a team who can challenge for absolutely everything. “It’s quite clear that the PSG option provides him with the opportunity to win titles, but in the case of Chelsea, he has been preparing for the possibility of going to the Premier League for a long time. “He has been learning English for a while, and he has told me in the past that he has a fascination with the Premier League, but his future is not determined yet. “I haven’t heard of an offer from Arsenal; of course he would be a candidate if they got rid of Arsene Wenger, but I don’t think they have reached that stage yet. It’s an interesting situation for Luis Enrique in terms of who will go with him but he is determined to work again next season if the conditions are right. “Most of his favoured backroom staff are either at Barcelona or Celta. Juan Carlos Unzue is his usual No 2, and he’s Celta manager at the moment, and I’ve got the impression he wants to continue being a No 1. “What Luis Enrique wants to do is coach at the highest level, and he has the opportunity to do so either at PSG or Chelsea. But there is no point in making a decision now because there will be more clubs interested in him later in the season,” Balague wrote in his Sky Sport column.